Our golf coaches will now be giving lessons! High School boys coach James Miles and High School Girls coach Kyndell Brunner will be giving lessons upon request, to any and all skill levels. Please call the golf shop for additional information! Opened in 1921 as Cushing Country Club, Buffalo Rock Golf & Gun is one of Oklahoma’s most historic golf courses. Re-grassed with Dominant X-Treme Bent Grass in 2015, BGGC will offer some of the finest putting surfaces in Oklahoma. This Perry Maxwell designed facility is a pleasure for golfers of any skill level to play. This historic layout will challenge you while providing a relaxing, picturesque backdrop. All in all, our goal is to provide you with a quality experience that includes exceptional service and a welcoming atmosphere. 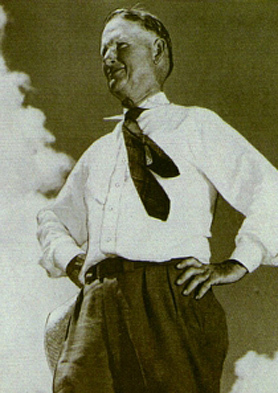 Perry Duke Maxwell (June 13, 1879 – November 15, 1952) was an American golf course architect. He was a founding member of the American Society of Golf Course Architects and was an inductee into the Oklahoma Sports Hall of Fame in 2012. He was known as the “father of Oklahoma golf”. Maxwell is credited with many of the great layouts in Oklahoma and throughout the United States and is commonly recognized as one of America’s great golf course designers. Maxwell built Southern Hills Country Club in Tulsa (the site of several PGA Tour events and the US Open in 1958, 1977 and 2001). The Oklahoma City Golf & Country Club and Prairie Dunes also appear on Maxwell’s resumé. He made major contributions to such revered layouts as Pine Valley Golf Club, Augusta National (home of the Masters), Colonial Country Club, Crystal Downs Country Club, and Merion Golf Club. In total, Maxwell is estimated to have designed 70 courses and remodeled about 50 others.